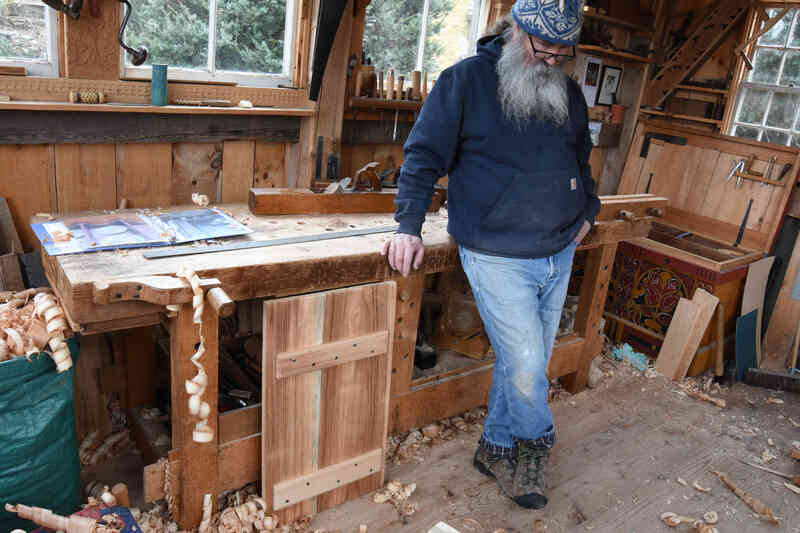 Winter is the easiest time for a green woodworker; no insects to invade the stashed timber. I have this pile of riven oak bolts standing outside my shop; this time of year there’s no hurry to deal with them. 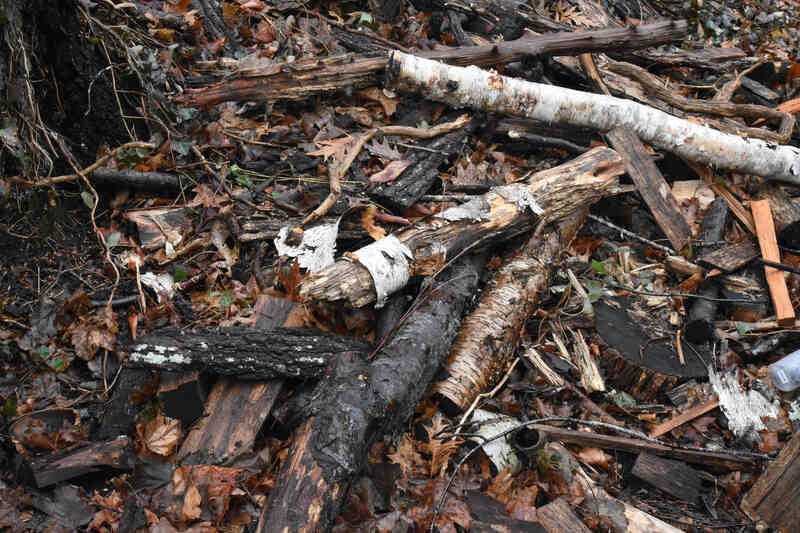 These are between 5 and 6 feet long, a few shorter sections in there too. 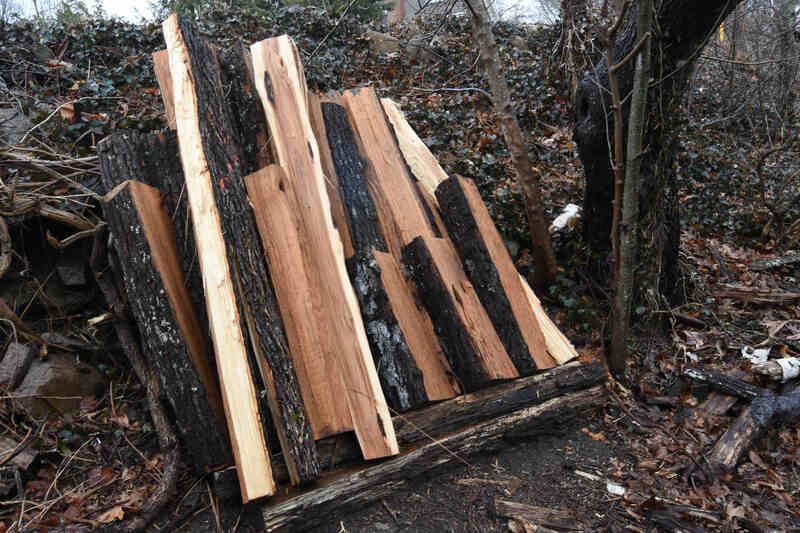 Most is oak, a few are hickory that just came in this week. 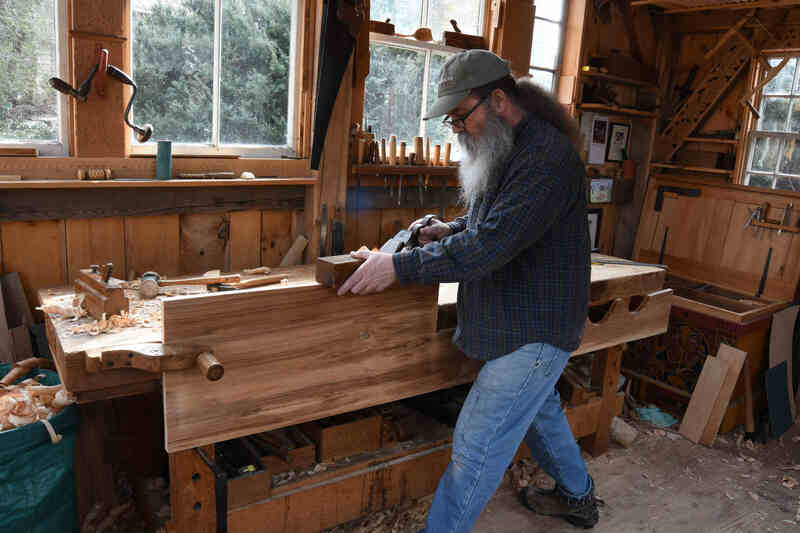 Before most of that oak work, I have two large pieces to build for the Old House in Cutchogue, Long Island out of white pine. 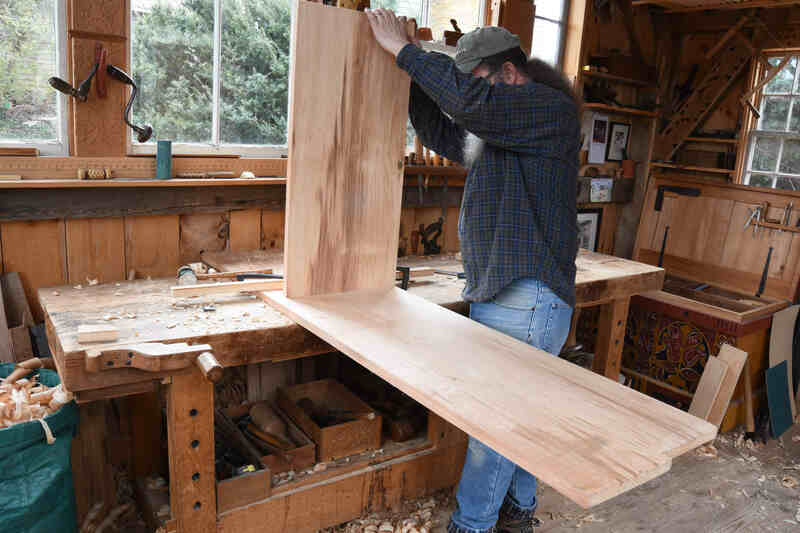 A settle that’s essentially 5 feet square and a dresser that’s 6 feet wide and 7 feet tall. 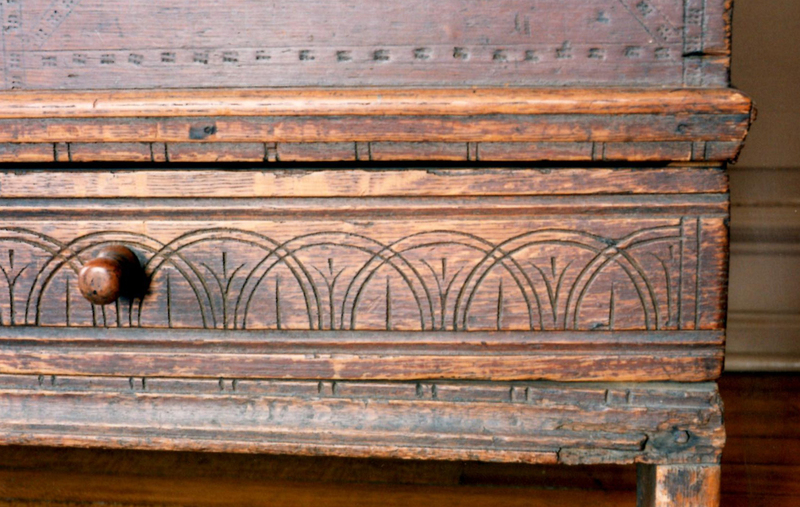 Like much early pine furniture, the originals that we studied to base these on were made from wide white pine boards. 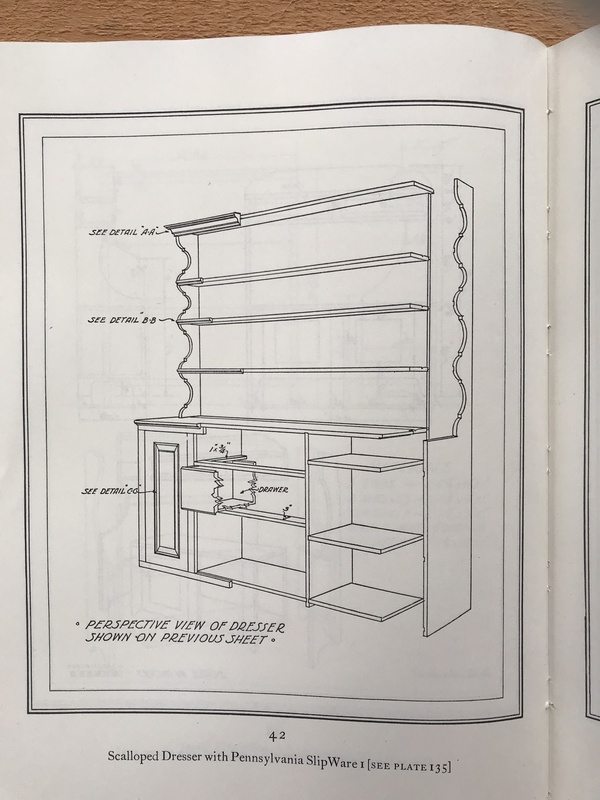 The settle for instance – the narrow parts are 15” wide. The uprights are from an 18” board. 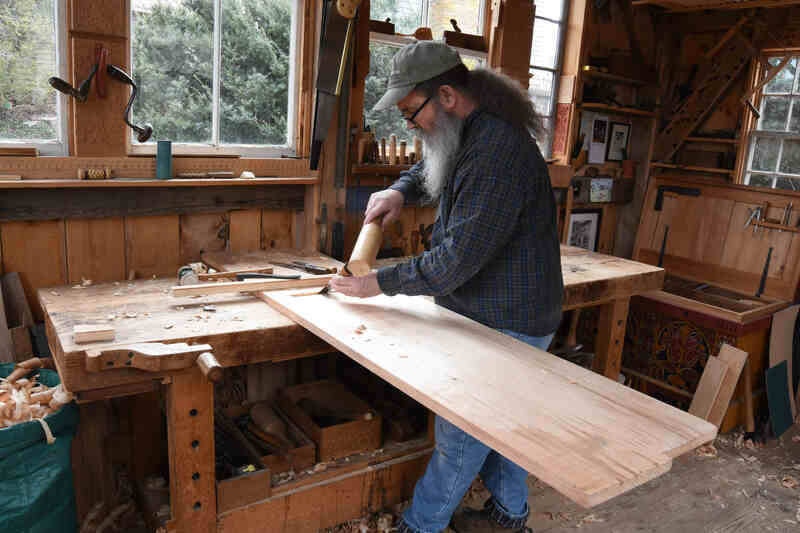 This week I went to visit a friend of mine to get some of this white pine. 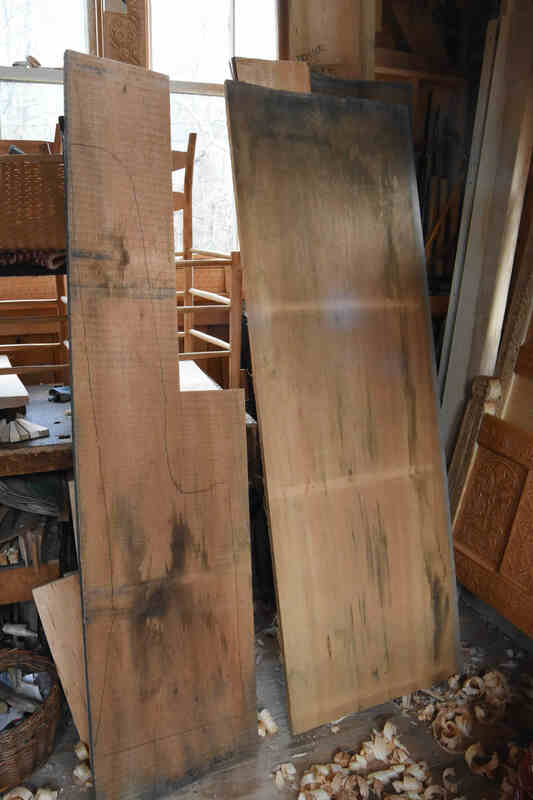 We had to sort through a lot of pine boards, because there were too many 24-26” wide boards and we didn’t want to cut those down to 15” stuff. 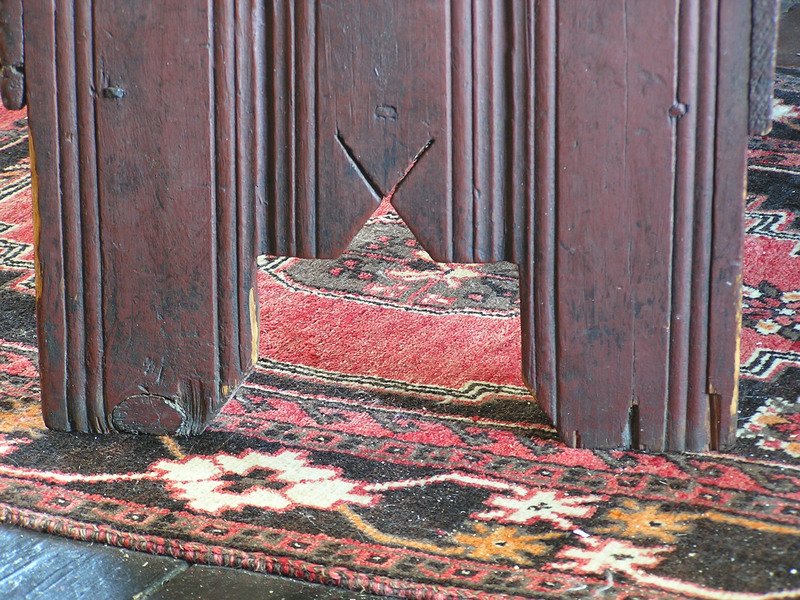 An interesting problem to have – boards that are too wide! I couldn’t leave all those two-footers behind, so a couple came here to be future chest lids. 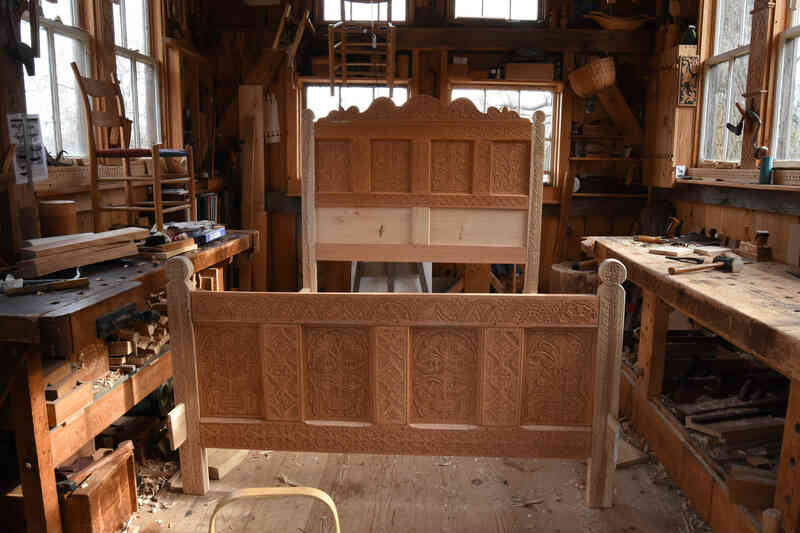 On the left is one of the settle’s uprights – it’s about 18″ wide, the board beside it is maybe 24″ wide. 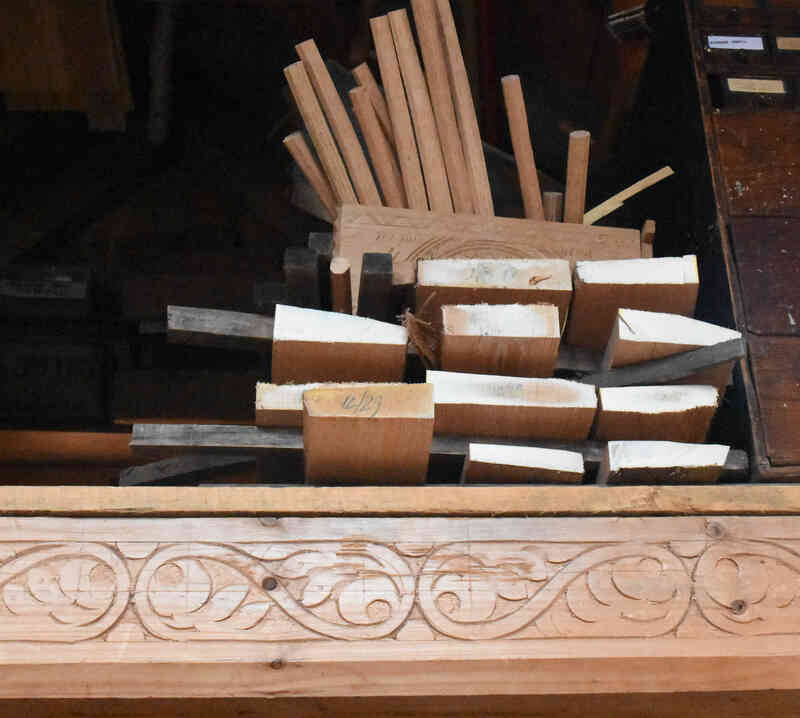 One or two small knots in the settle piece, the other board has none. 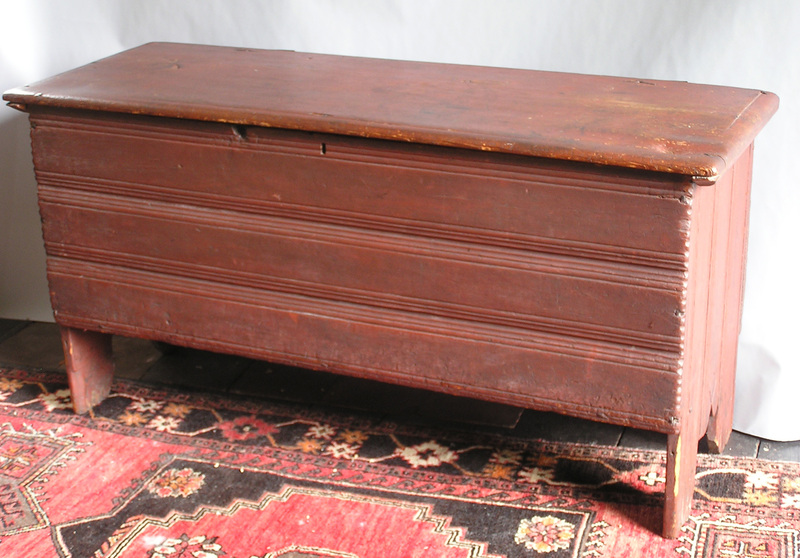 I pulled one down from my loft that I’d been saving for a couple years, and cut it for a chest here in the house that has been wanting a lid for a while. So I can stash one board where that came from. But clearly it’s time to sort and clean out the loft and use it for real storage, not dead storage. The next day found me helping some friends sawing out white pine boards, and some of them came back here too. These are green, just sawn. So their storage is easy, outside, stickered and forgotten til next year. 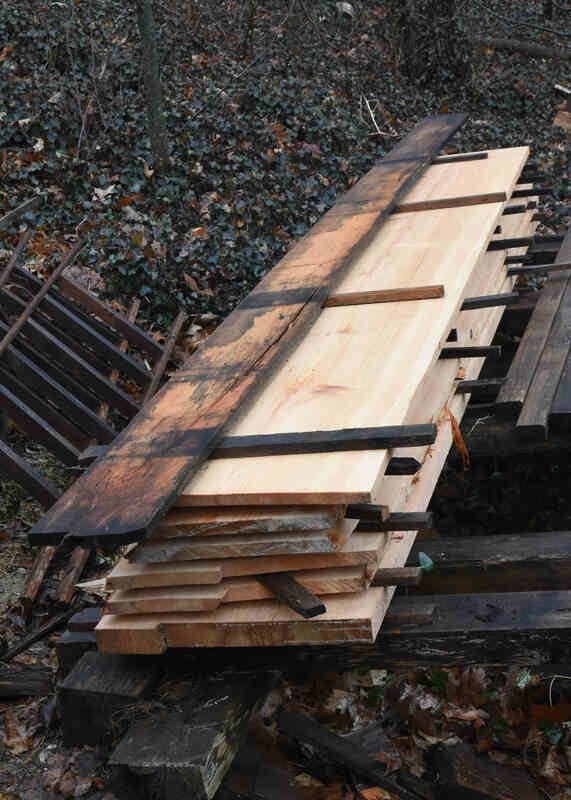 Some 20” one inch boards, and one 2” thick plank; about 12 feet long. I’m in the midst of covering this small stack with leftover boards from building the shop. Then back to the first stop, where now there was a section of green hickory up for grabs. I split some out, about 6’ long. Chair parts, basket rims and handles. This needs pretty immediate attention, hickory has a lousy shelf life, and is best worked green. A detour, but a fun one. 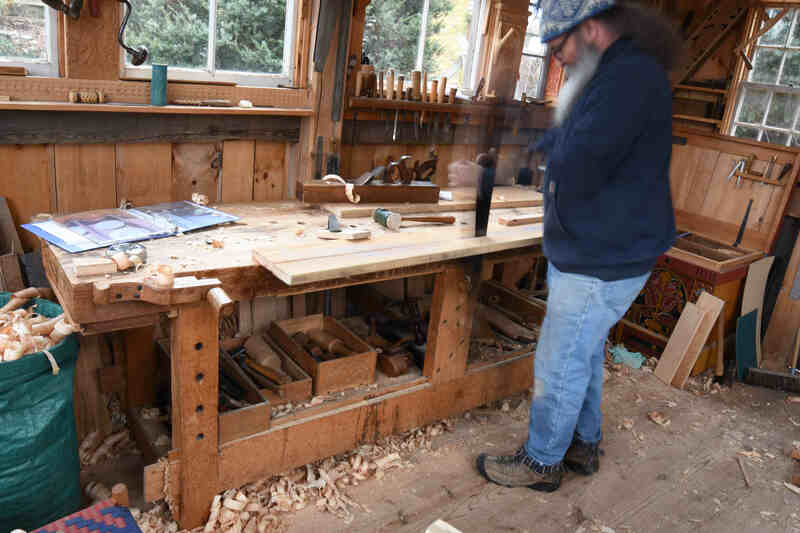 I disassembled my lathe to make room for all this oversized work; just finishing up the bedstead now, then will begin work on the pine pieces. You can see how tight it is in there. The long rails are just seen by the through tenons in the foot board’s posts. 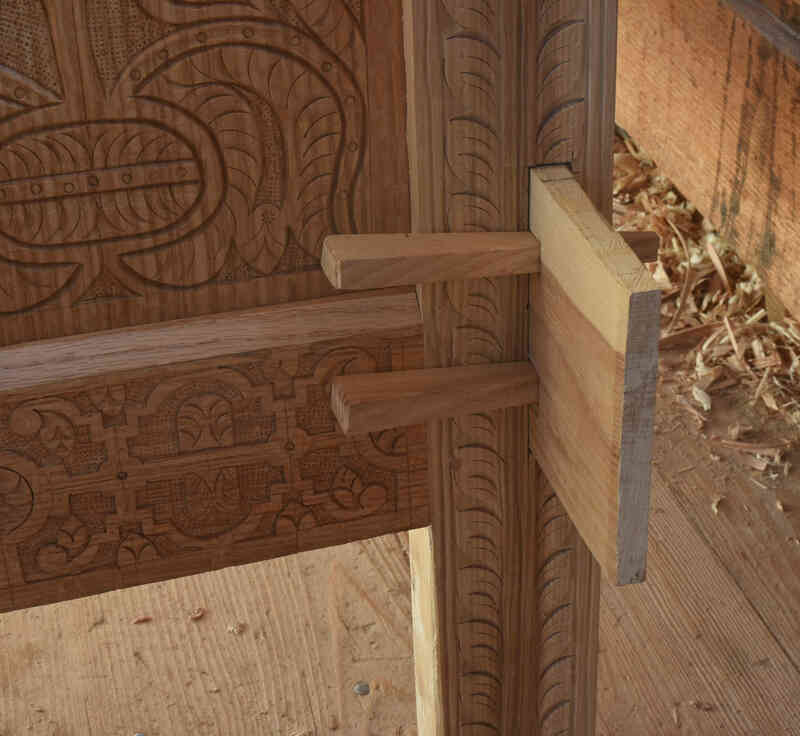 Here’s the wedged through tenon. After this photo, the wedges got trimmed a little, the tenon got chamfered on its corners. After these large pieces, I’ll re-assemble the lathe. By then, it’ll be spring and I’ll start travelling and teaching. Better get to it. Chris & I corresponded a bit about these things, but I was no help really. I haven’t studied them much. 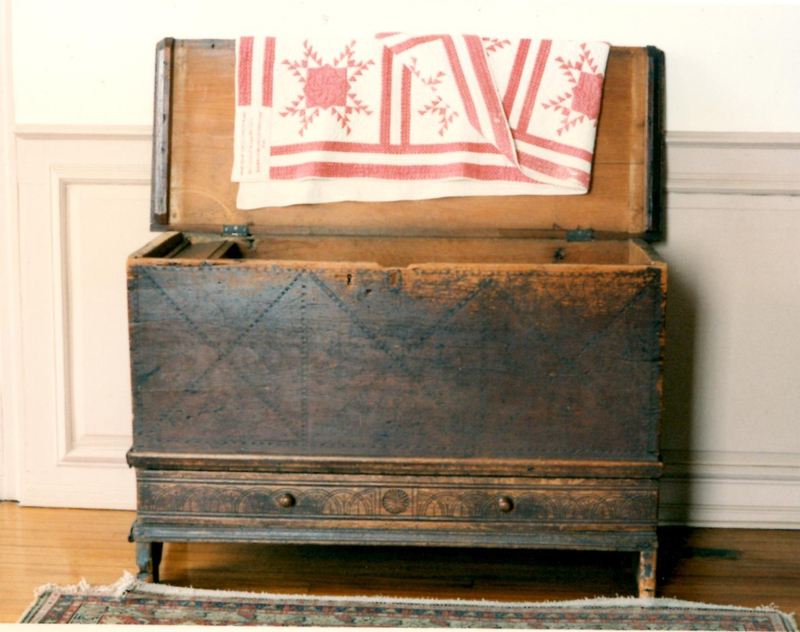 I made a few for PBS’ show Colonial House many years ago, and a few others besides. 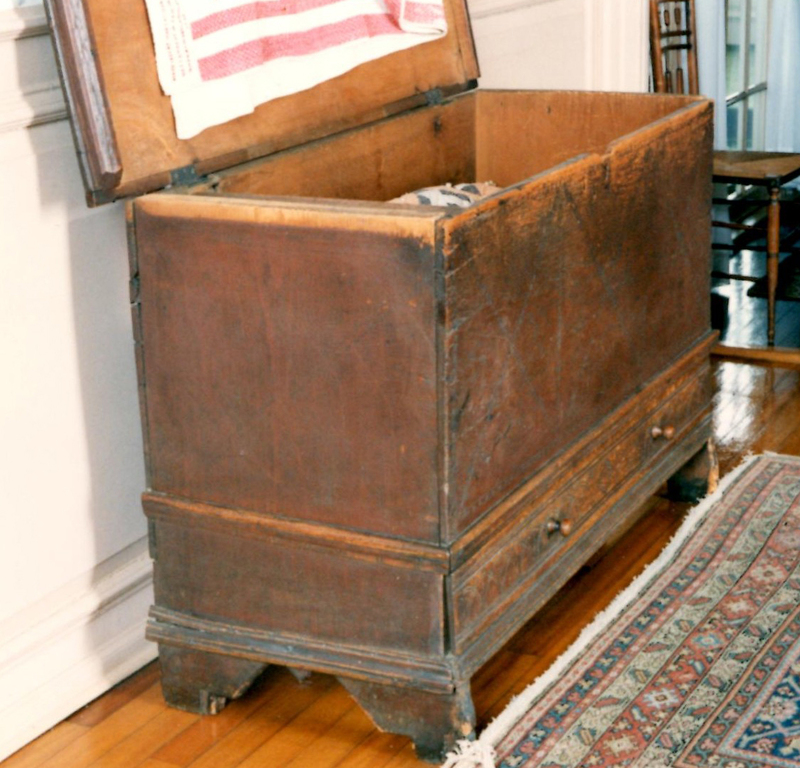 Here’s one of my Colonial House chests, I have another here at the house, filled with kid’s junk. The color in this photo is off- I did paint is w iron oxide mixed in linseed oil, but it doesn’t really look like this. One nit to pick is to say that these are un-decorated. 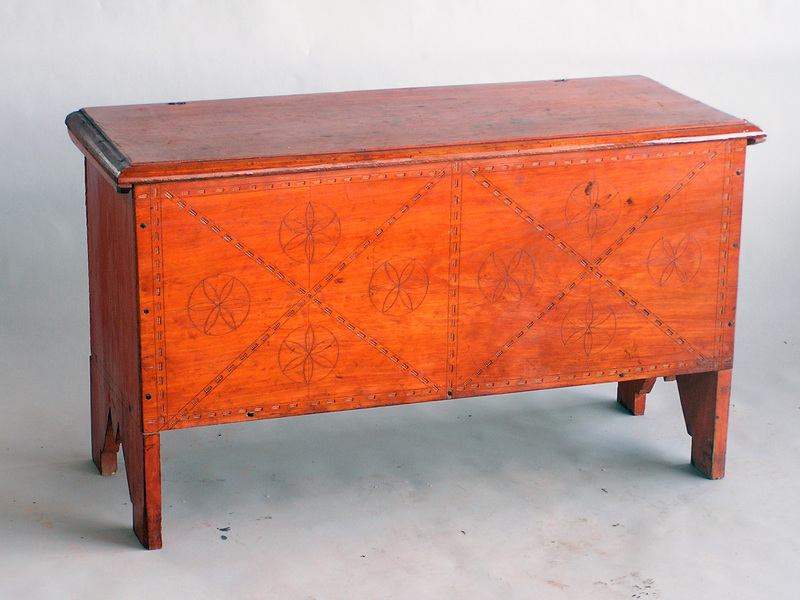 This chest is covered with “crease” moldings run along all the front and end boards. I often see pine paneling in early New England houses decorated the same way. If you want to cut out the feet in some simple scheme, here it is. 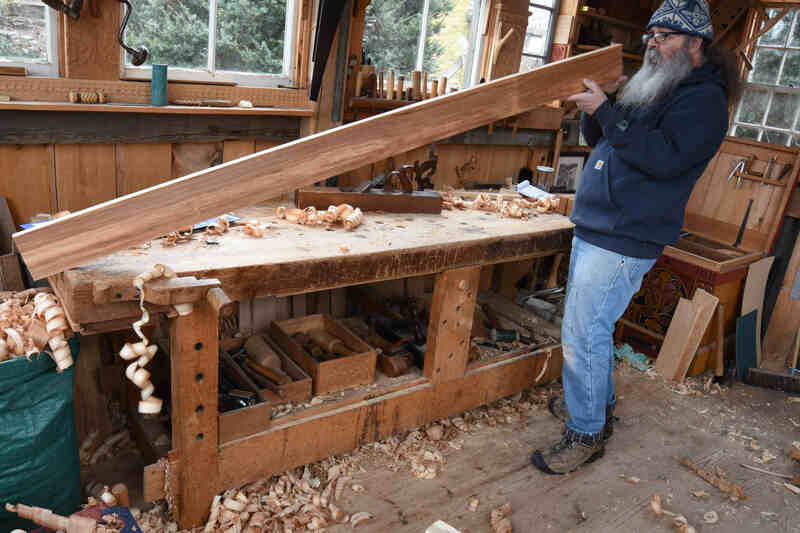 No turning saw, bowsaw – just a handsaw. One great thing about his chest is the surviving stick that locks the drawer from within the chest. (This batch was scanned from photos I shot 18 yrs ago, these are the best I have of this chest) – the sleeve is nailed to the inside face of the front board. 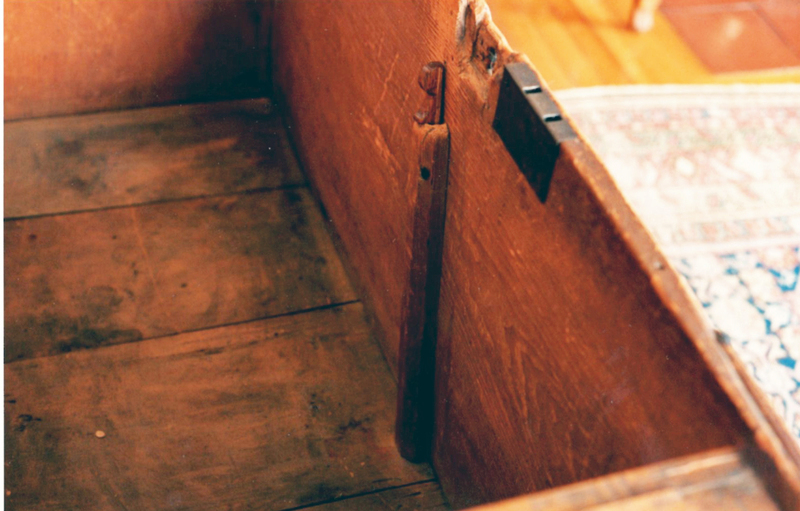 There’s a mortise chopped through the chest bottom = and the oak stick slides down into a corresponding sleeve in the drawer. 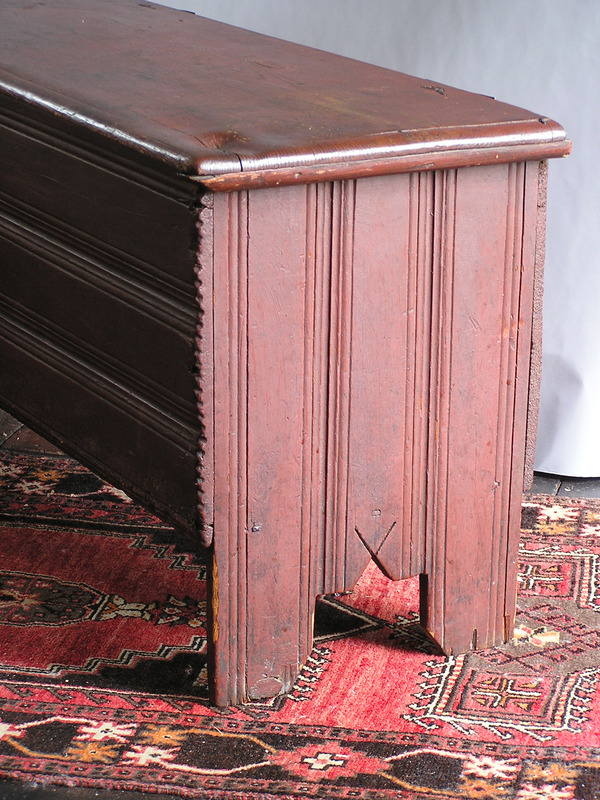 Notice that here, the joiner used front-to-back boards for the chest bottom and drawer bottom. Looks like the drawer had a divider in it once also. Here’s the drawer front, and the applied moldings. Here is the till. It’s a bit of a mess. Maybe always was. Horrible carving, but gives us the date just the same. 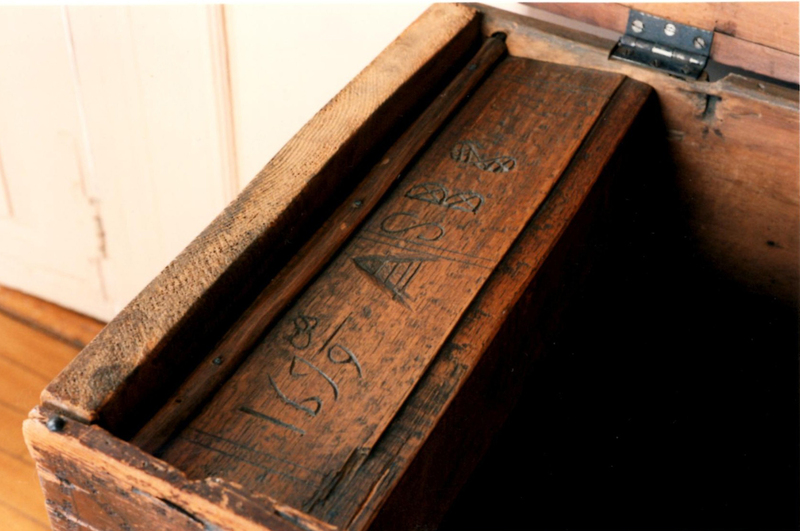 Other Plymouth Colony chests have similarly awful carved dates. I have another, but am out of time. So more later.